The Ryzen 5 2500X and Ryzen 3 2300X were spoiled a few months ago and were known to have the frequency multiplier unlocked for overclocking. On the other hand, the Ryzen 7 2700E and Ryzen 5 2600E are totally new additions designed for silent desktops and mini PCs, thus having lower TDPs and no overclocking support. 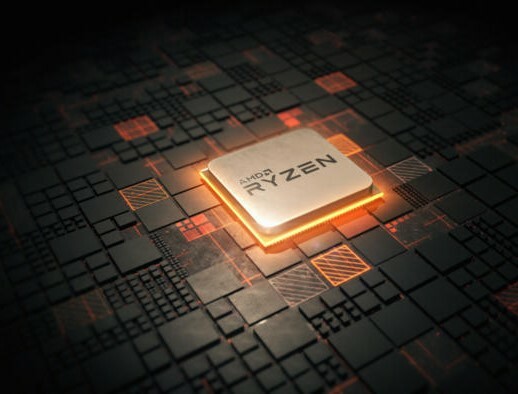 Specs for two of the four announced CPUs (the Ryzen 5 2500X and the Ryzen 3 2300X) were leaked a few months ago; however, the other two CPUs (the Ryzen 7 2700E and the Ryzen 5 2600E) are totally new. The X in the name indicates the fact that these CPUs are unlocked for overclocking, while the E models do not support this feature, and this is also reflected by the TDP ratings (65 W for the X models versus 45 W for the E models). All four CPUs are manufactured using the 12 nm stepping and do not come with Vega GPUs. Contrary to previous leaks, both X processors come with a single active CCX, so the L3 cache memory is locked to 8 MB. Despite the apparent performance loss, AMD claims that these processors are still 8-10% faster than previous gen counterparts. They also support DDR4-2933 and come without coolers. The E processors are designed for budget desktops and compact PCs that can do away with active cooling solutions. For this purpose, AMD lowered the default frequencies, as the Ryzen 7 2700E features 8 cores and 16 threads clocked at 2.8 GHz (4 GHz boost) and the Ryzen 5 2600E packs 6 cores and 12 threads clocked at 3.1 GHz (4 GHz boost). Both models get 16 MB of L3 cache, but have the Precision Boost Overdrive feature disabled. AMD has not yet disclosed the retail prices for the time being, even though the Ryzen 5 2500X is already featured in the Acer Nitro 50 gaming desktop series.